The Galway senior hurlers are 2/1 outsiders this Sunday to defeat Eamon O' Shea's Tipperary in the All-Ireland semi-final at Croke Park (4pm ). Tipperary qualified for this semi-final when winning their first Munster title since 2012, overcoming Waterford by 0-21 to 0-16 five weeks ago, while Galway showed impressive form three weeks ago when they comprehensively defeated Cork by 2-28 to 0-22 in the quarter-final. Despite that victory and the nature of it, the Tribesmen are still available at plus 3 at 10/11 in the handicap market for this weekend. There have to be some question marks over the margin of Galway's victory over Cork, who showed no real fight on the day and produced a lacklustre performance. However, a team can only beat what is put in front of it, and Galway did that emphatically in Semple Stadium, despite hitting a large number of disappointing wides with three times All-tar Joe Canning one of the biggest culprits in that regard. Once that victory was secured, Anthony Cunningham would have steeled his players for a much tougher assignment this Sunday against last year's beaten All-Ireland finalists. The sides met in the championship qualifier last year in early July in Thurles and despite leading well going into the last quarter, Galway inexplicably lost their way, staged a mini-collapse, and went down by nine points, 3-25 to 4-13. A big positive in that game for Galway was the display of Jonathan Glynn who hit two goals and had Tipperary full-back Pádraic Maher in all sorts of trouble in the first half. James Barry was relocated to full-back to try to nullify Glynn, which he did to a degree, and he subsequently spent the rest of the season in that position, and is still wearing the number three jersey in 2015. Glynn has become a really important player for Galway, and he was man-of-the-match the last day out against Cork. His ball-winning ability in the air and direct running will be hugely important this Sunday especially as he is targeted by Colm Callanan with his puck-outs. The Galway team will be named later in the week and it will be interesting to see what, if any, changes will be made from the team that started against Cork. Defenders like team captain David Collins, Gort's Greg Lally and former All-Star Fergal Moore will all have been pushing for inclusion over the past few weeks. However, they will know, as every player does, it is difficult to break into a winning team. Galway have not reached this stage of the championship since 2012 and, after having had poor championship seasons in 2013 and 2014, the entire panel will be highly motivated to get to the All-Ireland final and renew acquaintances with Brian Cody and his team. Tipperary have an impressive forward line in Seamus Callanan, Brendan Maher, Bonner Maher, Bubbles O’Dwyer, Niall O’Meara, Jason Forde, and Lar Corbett ensuring the Galway defence will have to produce a top-class display to keep them in check. The Galway full-back line of Johnny Coen, John Hansbury and Padraig Mannion have been in good form and, if they can stop the likes of Callanan and O'Dwyer having a big influence, then Galway will be a long way to reaching the final. There have been ongoing concerns about the centre of the Galway defence and this Sunday will tell us if those concerns were justified. 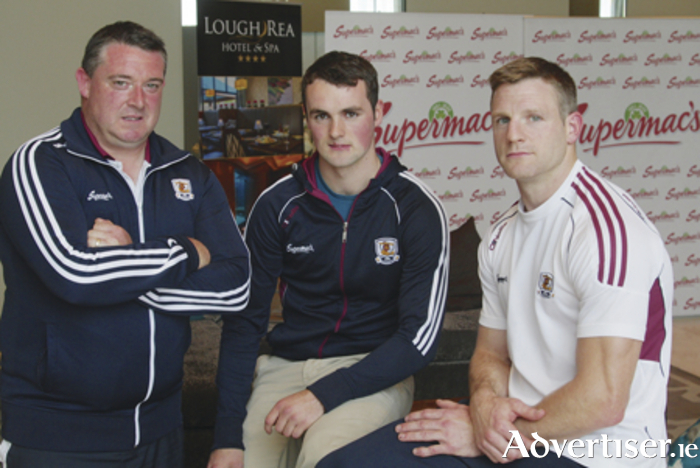 Up front, Cathal Mannion, who hit seven points from play against Cork, Joe Canning, Jason Flynn, Cyril Donnellan and young Conor Whelan, will also have to bring their top game to proceedings if Galway are to have another cut off Kilkenny on September 6. After the Leinster final, Galway team manager Anthony Cunningham told Brian Cody he would see him again in the All-Ireland final. By 5.30pm next Sunday evening, we will, barring a draw, know if that is going to happen.